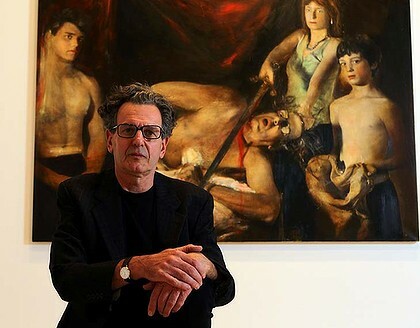 "THE Sydney artist Rodney Pople's Archibald entry, Artist and Family (after Caravaggio), depicts the artist being beheaded by his wife, curator Felicity Fenner, while his two shirtless sons look on. A tribute to the Italian master's famous work Judith Beheading Holofernes, it is also a sly reference to the attacks on Pople's work by church groups in 2010 and to the hysteria surrounding Bill Henson's photographs of adolescents in 2008. Yet the painting, a 2011 Archibald finalist, is exactly the sort of work that seems destined to fall foul of a classification system that has been recommended to a Senate inquiry..."